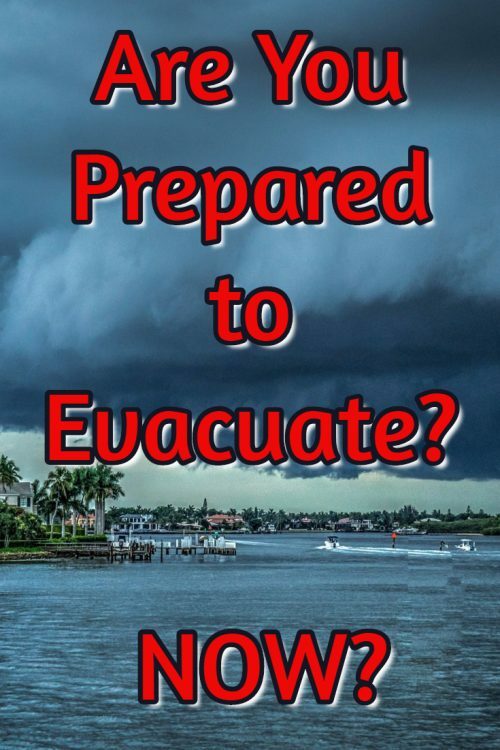 Home→Preparedness→Are You Prepared to Evacuate? NOW? What if many thousands, or even millions, of people in your area were under evacuation orders? What if gas stations were running out of gas and grocery store shelves were bare? What if power outages were expected to cover an even larger area and go on for a lengthy time? That’s what is happening as I write, as Hurricane Matthew approaches the southeastern US. 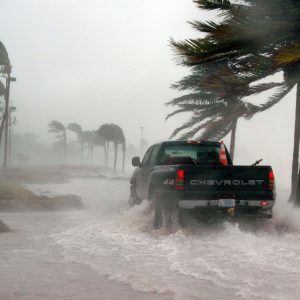 If you need to leave fast sometime, will you be prepared to evacuate? Will I? Just because I sometimes write about preparedness, don’t assume I have all my ducks in a row. I haven’t been prepping much for evacuating from my home. But I do have one advantage: I bought this book a month ago and I’ve been reading it. It’s got me thinking, planning, and stocking up on things to take. This could be because of a house fire or other local crisis, too, the sort of thing that barely makes the news. 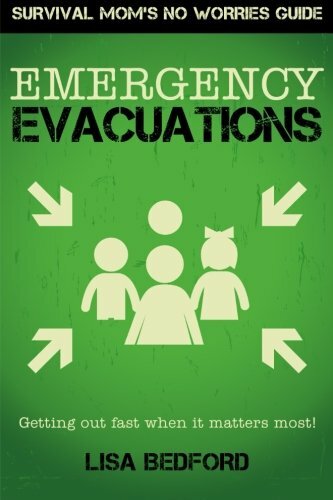 You can get Emergency Evacuations: Get Out Fast When It Matters Most! at Amazon in Kindle format or paperback. I got the paperback, not entirely trusting electronics in the range of scenarios that could happen, and wanting to scribble my notes in the book. Lisa Bedford, the author, is known as Survival Mom and you can visit her website at thesurvivalmom.com. She has a lot of useful free downloads, like this one: a long Evacuation Supplies Checklist in PDF format. I really like her upbeat, positive approach to topics that can be pretty depressing. As she says, the more you prepare in advance, the less you will be vulnerable to panic. The book covers things to take and things to do in advance and while on the road, but even more importantly it delves into how to keep others in your family — adults, kids, older folks, people with disabilities, even pets — from freaking out. Meanwhile, as I write this, I checked the news from Florida and read that store shelves are being wiped clean of bottled water, flashlight batteries, toilet paper, canned food, and more. All of that keeps very well and you could have it all on hand. Here are a couple blog posts I’ve done on things that you might want in evacuations: flashlights and gas cans. If you are on Pinterest, please share this pin! Thanks… I like those clear plastic boxes too. We start to prepare for hurricanes starting in May here in South Texas. Your suggestions are spot on! Great tips! I keep some of our supplies in a large ice chest, some in a clear plastic (Sterilite) storage box and the “sanity” items, medications, etc. in a backpack. We’ve seen a blow or two around here!